Kiechel, Walter. 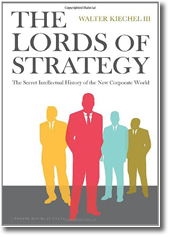 The lords of strategy : the secret intellectual history of the new corporate world. 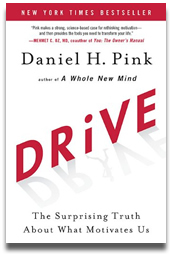 Harvard Business Press, 2010. Our guest reviewer today is Fuqua faculty member Peter Regan, who teaches Decision Models in the Duke MBA Cross Continent Program. In addition to teaching at Duke, Dartmouth and Cornell, Prof. Regan has worked in biotech, financial services, and consulting firms, and founded his own consulting and technology firm in 1995. 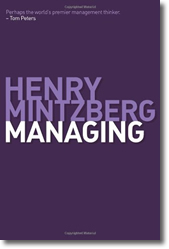 Kiechel surveys the history of strategy based on his years as editor of Fortune and Harvard Business Publishing. The book has the “knew them at the time” feel that Peter Bernstein has about finance in his book, Capital Ideas Evolving. The story lays out the rise of strategy at BCG, its offshoot Bain, McKinsey, and Michael Porter’s rise at Harvard Business School. The book then follows various tributaries as the strategy marketplace matures amid the growing competition accompanying globalization. I particularly appreciate the attention given to the “strategy as position” school exemplified by Porter’s Competitive Advantage versus the “strategy as people” school exemplified by Peters and Waterman’s In Search of Excellence. Keichel borrows from both schools of thought in writing his book. You learn about the major firms and the advantages they have as brands with the ear of executives and the eye of top students. But you also learn about the importance of individuals in developing strategy’s ideas and in guiding the major strategy consulting firms. Keichel admits a possible Boston-centric criticism and no doubt many will decry various omissions but as a reader I find the lack of encyclopedic coverage to be an asset that keeps the narrative line clear. 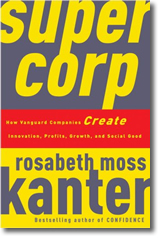 The book puts in context my own experiences at a boutique strategy consulting firm and helps me to understand the industry so many of my MBA students aspire to join. 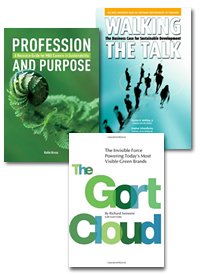 © Reviewer: Peter Regan & Ford Library – Fuqua School of Business. Day, George S. and Christine Moorman. 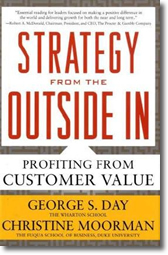 Strategy from the outside in : profiting from customer value. McGraw-Hill Professional, 2010. Fuqua faculty member Chris Moorman and co-author George Day argue that, over the long term, the most successful companies focus on creating and keeping their customers. 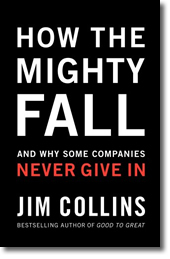 When designing their corporate strategy, the best companies start with the market. All parts of the enterprise are focused on understanding the customer, solving customer problems and seeking out opportunities in the market. Market driven companies work to sustain and improve customer value. Authors Day and Moorman introduce the concepts of inside-out and outside-in strategies. 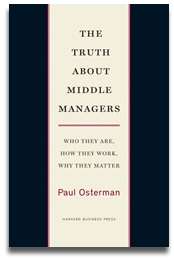 Many companies employ inside-out strategies, maximizing shareholder value or leveraging competitive advantage. By contrast, the most profitable companies use outside-in strategy, viewing the market through the customer’s eyes. These companies also invest in market intelligence to determine patterns in customer behavior, and to identify market opportunities. They take specific steps to create and reinforce customer value and profitability. 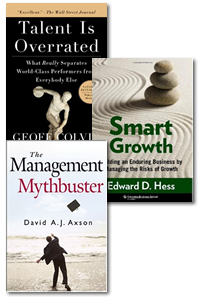 These actions distinguish market leaders from ordinary companies and are the focus of the book.